Hotel Ilbert Manor is a 4 star classic heritage boutique hotel in Mussoorie amidst lush green hills and forests. A perfect getaway in tranquility and peace, its colonial style of architecture makes this 18th century hotel a true heritage property in Mussoorie. 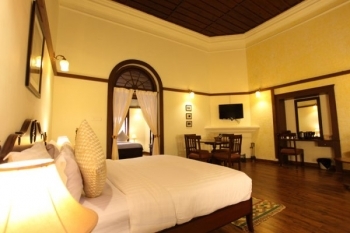 Its luxury filled rooms are well decorated and guest could feel the old King times inside the rooms. 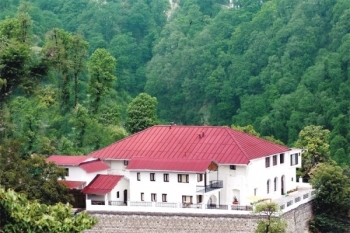 Located amidst deodar and oak forest, the hotel is at 0.5 km from Library Chowk, Mussoorie. Guest has easy accessibility to all travel destinations of Mussoorie town . from the hotel. Apart from luxury and well decor rooms, the hotel also has private library, pool table, TV lounge and excellent view of Himalayan mountains. Hotel Ilbert Manor is conveniently located near the Library Chowk on Duggal Villa Road and the famous Mall Road is at 7 min walking distance from the hotel. Nearest railway station is at 36 kms in Dehradun and the Jolly Grant Airport is at 60 kms away from Ilbert Manor. Hotel Ilbert Manor offers 14 well furnished, luxurious rooms and named after historical legend who explored the mystical hills of Mussoorie. Jim Corbett, Rudyard Kipling are some of the names given to elegant rooms of the hotel. Victorian (3), Imperial (8) and Colonial Suite (3) are the categories of rooms available in the hotel. The rooms are equipped with all modern amenities and luxury facilities such as LCD TV, King size bed, Mini bar, tea/coffee maker, premium toiletries etc. The hotel has a well decor and hygenic restaurant serving variety of dishes to the guests. The restaurant has changing menu to provide different dishes each day. Cooked in home style, the restaurant maintains a hygenic and healthy environment.